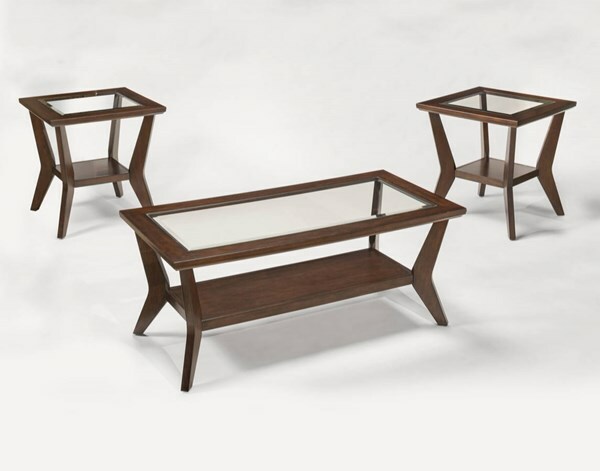 The Corinna table set offers easy access lower shelf in the base. It features lift-angled legs and beveled glass top. 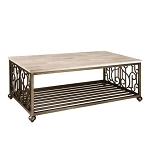 The set includes the coffee table and two end tables.